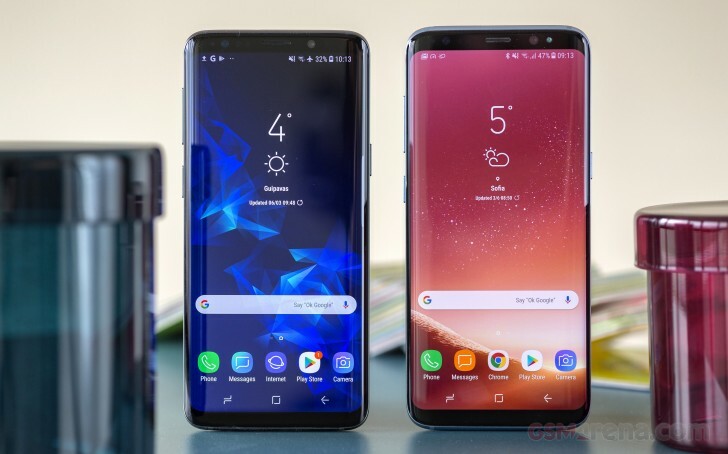 Home battery Oneplus 6T performance RAM Samsung Galaxy S9 speed OnePlus 6T vs. Galaxy S9: Can The Flagship Killer Claim Another Victim? OnePlus 6T has become one of the most popular smartphones due to its high specs. OnePlus 6T has a bigger price tag than that on OnePlus 6. Can this phone be able to outshine Samsung Galaxy S9? 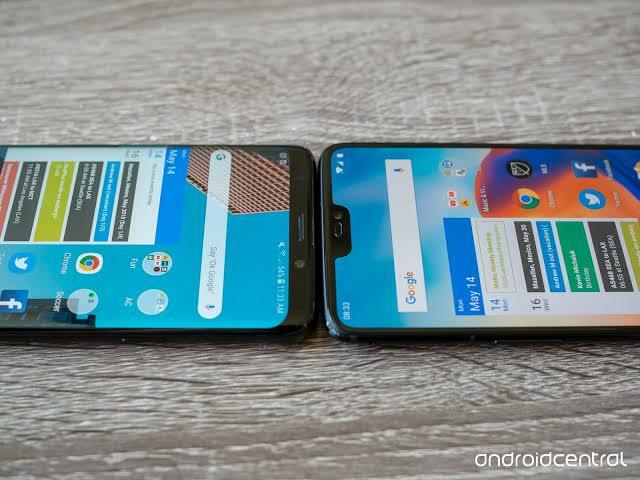 Both Samsung Galaxy S9 and OnePlus 6T come with with Qualcomm Snapdragon 845 thus you are sure of the best performance from these two devices. OnePlus 6T is quite faster than the previous OnePlus 6. When it comes to the OnePlus 6T there is a 6GB RAM model and an 8GB RAM model. Both phones have an internal storage of 256GB. Samsung Galaxy S9 has a microSD slot while OnePlus 6T doesn't have. When it comes to the battery life OnePlus 6T has a massive battery. It comes with a 3,700mAh battery capacity while Samsung Galaxy S9 come with just a 3000mAh battery capacity. The fast charging mechanism on 6T is better than the QuickCharge 2.0 fast charging on Samsung S9. Samsung Galaxy S9 comes with a nice wireless charging. But this wireless charging is not enough to win this race. The two phones have been. Beautifully crafted. S9 looks almost the same to S8. The sleek glass silhouette on S9 makes it a really beautiful phone. OnePlus 6T has slimmed bezels down below. It also has a dewdrop notch. It looks as beautiful as S9. When it comes to looks both phones score a perfect 10. When it comes to durability we have a different case. Both phones are fragile due to their glass. OnePlus 6T doesn't support water resistant and on this phone there is no headphone jack. Samsung Galaxy S9 didn't do away with its headphone jack. It has water resistant which gives it an added advantage. For both phones buy a case to protect your device. Both phones have a deep inky black and have vibrant colors. Both phones have an AMOLED. OnePlus 6T has a picture resolution of 2,340 x 1,080 and has a huge 6.41 inch display screen. On the other hand Samsung Galaxy S9 has a smaller 5.8 inch display screen and has a picture resolution of 2,960 x 1,440. The display on S9 is sharper than that of OnePlus 6T. The display on S9 is one of the best in the world. OnePlus 6T has a beautiful display but we can't compare it to the Samsung Galaxy S9. On Samsung Galaxy S9 you will find a single 12 megapixel lens. This phone has a variable aperture. Although it doesn't have a second lens it can still stimulate Potrait mode on its rare camera. The front facing camera has an 8 megapixel lens. OnePlus 6T comes with a primary 16 megapixel lens and a secondary 20 megapixel lens. Their setup is good but it's not as superior as that of Samsung S9. There is Artificial Intelligence on OnePlus 6T which helps in adjusting the camera settings when you are in a different scenario. OnePlus 6T has a 16 megapixels front facing camera. When it comes to the video, on both phones you can record full 4K videos at 60 frames per second. On S9 you can shoot in super slow motion at just 960 fps. OnePlus 6T captures video in slow motion at 480 fps. The OnePlus 6T has a decent good camera but it's not the same as that Of Samsung Galaxy S9. Their capabilities are very different. Samsung Galaxy S9 has Android 8.0 oreo. The updates on Samsung are never that fast or as good as expected. Samsung Galaxy S9 will later on get updated to Android 9.0 pie and also to Android Q. On the other hand OnePlus 6T comes with the latest Android version. It comes with Android 9.0 pie. There are less pre installed apps and it is really extremely fast. The Android version on OnePlus 6T is up to date. The updates on OnePlus are always done on time. This is something Samsung can't match. On Galaxy S9 there are several special features that maybe of use to you. There is VR support with Gear VR, Bixby Voice assistant. There are AR emojis and a really good google assistant. OnePlus 6T is packed with special features. You will find new features that came with Android pie 9.0. There are gesture controls and for users you can draw a pause sign on the lock screen to pause the music. With three finger gesture you can take a screenshot. On OnePlus 6T there is face scanning and an in display fingerprint scanner. On lockscreen you will see a fingerprint icon. Just press it and your phone will unlock. This race is quite tight. Both phones have awesome special festures. I think both phones have equal special features. The starting price of Samsung Galaxy S9 for the 64GB model is from $840. You can even get that phone at a cheaper price. OnePlus 6T sells at just $549. It will work on major mobile networks. 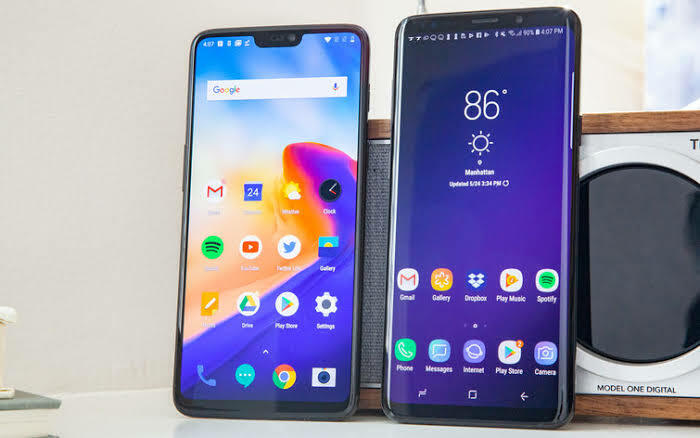 The Galaxy S9 has won this battle but that doesn't mean OnePlus 6T didn't put up a fight. OnePlus 6T is an incredible phone with a powerful performance and good camera. It has everything that you'd expect in a flagship device. Samsung is better because its water resistant, new additional features and a really good performance. Both phones are state of the art devices. They won't disappoint in any aspect. If you are a buyer you can pick any of the two phones and you will be amazed how incredible they are.